I have a topic that I believe should be addressed; Women’s Equal Rights. Now there is a long fought battle and conversation that never seems to end. 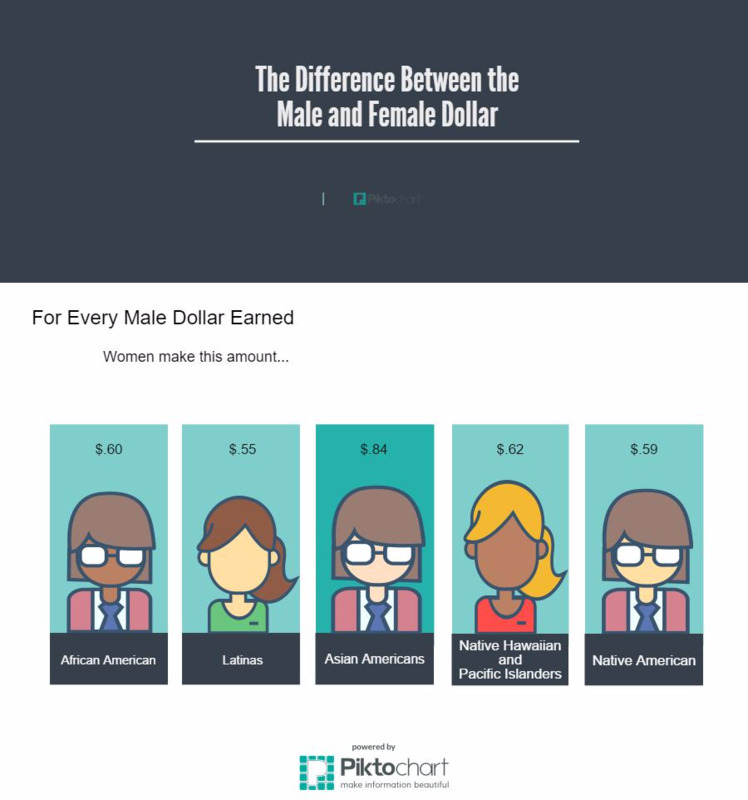 Even today discrimination between male and female can be seen in their paychecks- and it’s a huge problem. It is my goal to try, with your help, to fix it. The wage gap between men and women affects families, single mothers, and female students trying to support themselves and their education. Now I know people will say, “Just get a new job,” or “They have programs for these types of situations,” but according to the Women’s National Law Center, (WNLC), up to 98% of occupations have a wage gap. This loss of money and the debt it can cause adds further to the economic plight of women struggling to support themselves and their families. Now, of course, there has been action to help. The Equal Pay Act of 1963 was passed, so that the gap between women and men could be abolished. This Act is now over 50 years old and there is still an ever increasing problem. Lilly Ledbetter, for 10 years, has been fighting the Supreme court over a historical discrimination case against Goodyear Tire and Rubber Company. She ended up winning more than 3 million dollars over the discrimination suit in federal court, but later the U.S. Supreme Court overturned the verdict. In January 2009, President Obama signed the Lilly Ledbetter Fair Pay Act which allowed that a person has 180 days to sue for a discriminatory paycheck received. All these small steps are very reassuring that there is hope for a better tomorrow and I believe fighting for the Paycheck Fairness Act will help with this movement. Yes, it can cause small businesses to stretch on their money, but with workers having a better lifestyle, their work can improve and business could thrive. Families’ lives will change and people fighting for a better education can get the push that they need, so that they can follow their career path. This change then I believe will better our future and our lives as a whole country. New Tech High's Junior class. This is a team taught US History and Literature class. Fossil fuels are damaging to the economy, and damaging to the environment, lets get clean, lets get renewable. We need to address the problem of police brutality by giving them more time off the streets. Invading U.S soil or compensating it ? My point of view on the controversial topic of abortion rights in the USA. Why we must close the Gender Wage Gap? Reasons that the next President close the Gender Wage Gap.